Did you know that the Argentinian government established the so called “Roots Programme” in 2003 which involved 800 repatriated scientists? Or that according to El País ‘the number of Spaniards that began applying for residence in Argentina has tripled since 2007’? Statistics show that the country no longer grows at the same level, but there is work. Mudinmar here offers you a detailed guide about accommodation, customs, points of interest and customs information. As summarised in Argentina Turismo, Argentina is a country of beaches, mountains, lakes, islands, waterfalls, glaciers… It has one colour: green. One dance: tango. Argentina is Patagonia, the Plata river. The climate is another welcoming factor in this country; predominantly temperate (in some areas tropical, subtropical and even subpolar in the Patagonia region, the latter remedied by the famous “mate” infusion with its stimulating effect due to the mate leaves). Beyond football, basketball, cestoball (derived from the Argentinian basketball, korfball and netball), cycling, golf, ice hockey, hockey, polo, paddle tennis, paddle ball, rowing, rugby, tennis, volleyball and yachting, hunting and fishing are included as characteristic sports in this South American country. Trekking, skiing, rafting, kayaking, swimming, diving, mountaineering and agro-tourism are also common. 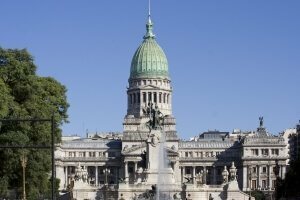 During your stay in Argentina we advise that you stay up to date with the local press to be informed about activities at a local level; El Día y Hoy (La Plata, Buenos Aires), Comerico y Justicia y Alfil (Córdoba). You can have a look at further options here. You should leave space in your calendar in your relocation to Argentina for the multitude of festivities that take place in what will be your new country. In January there is the Fiesta Nacional de la Cereza (National Cherry Festival) Ferias de Artesanos Nacionales (National Craft Markets), Chamame and la Fiesta Nacional de la Boga (National Boga fish celebration). Look at the other months to note down which events you want to add to your list. Furthermore, according to those who have had the opportunity to visit a number of museums, they say that we cannot leave out the National History Museum, the Cornelio de Saavedra and the Bernardino Rivadavia Argentinian Museum of National Sciences. Buenos Aires is divided in almost 50 areas, some of which are 100 years old, contradicting the legendary “100 areas of Buenos Aires”. There are in fact 48 official areas. Here are those that, according to Mudinmar, deserve to be highlighted for their picturesque character and high quality of life. Mudinmar offers door to door service to any city in Argentina. From Buenos Aires and Córdoba to Rosario, Mendoza, La Plata, San Miguel de Tucumán, Santa Fe, Mar del Plata, Salta and San Juan, our relocation and groupage business can help you arrive where others won’t take you. To import personal items you must show that you have not stayed in Argentina for more than 60 days. For non-residents, if it can be demonstrated that there are no restrictions on entry and exit of Argentina, they can return without paying duty. A visa is required to be able to enter. All documents and permission needed for your entrance into the country must be checked before your container or groupage, these are handed in on arrival. All documents asked for by the customs office must be provided. Your CUIL – CUIT and passport or DNI number are required; furthermore, you should register with the consulate through the Argentinian embassy at the beginning. Furniture storage in Argentina: through our network of agents. We offer you a storage service in the main cities in Argentina. Insurance: we highly recommend full insurance for transoceanic and intercontinental shipments. Don’t forget to ensure good to be signed for by the client. Delivery at destination: you can choose the day for the door to door services. Our agents in Argentina, with whom we are in close contact with, will advise you about all the details of delivery at your address with the relevant restrictions. From 30 to 40 days after the ship’s departure, depending on the distance of the city or province from the entrance port. “The admission into the Argentinian Republic of canine and feline pets does not require any prior processing in at central service level to obtain approval of the importation, as with other live animals according to the terms of the 189/65 decree, the updated 2216/71 and the Senasa Resolution no. 1354/94, rather it will be approved by the Senasa inspector at the point of entry into the country, when the requirements are met.” Read SENSA’S (National Animal Health Management’s) specified conditions more thoroughly. You will not have to pay duty on the importation, if you possess a temporary visa, as long as the visa is valid. If the vehicle does not pass the US$ 15.000 CIF value, Argentinian residents can import it with a reduction from the Argentinian consulate. To complete this process, it is the same way as importation of personal goods.